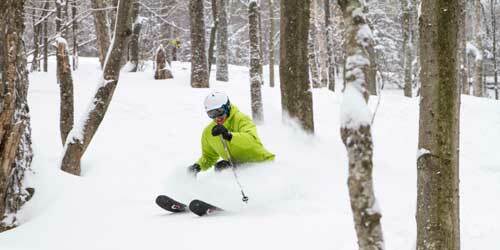 New Hampshire is a skier’s paradise. The fabulous White Mountains has Loon Mountain, Waterville Valley, Wildcat Mountain, Attitash, Bretton Woods, and Cannon Mountain, and others. It is easy to ski two or more mountains in a few days. Non-skiing members of the family to also enjoy local shopping, dining, and sightseeing. Elsewhere are Gunstock in the Lakes region and Mount Sunapee and Ragged Mountain in the Dartmouth region. Scattered throughout New Hampshire are smaller ski areas that are great for families and beginners. See Deals, Cross Country Skiing, and ski area listings. Or contact Ski NH, the state’s ski marketing group. Most ski areas offer discounted season passes, stay-and-ski packages, gift cards, or other bargains. These are discount programs by members of Ski NH (603-745-9396). Buy a customized combination of lift tickets to your favorite ski areas in your choice at Black Mountain, Cranmore, Dartmouth Skiway, Granite Gorge, Gunstock Mountain, King Pine, Loon Mountain, McIntyre, Mount Sunapee, Pats Peak, Ragged Mountain.Ticket inventory is limited. Packages can be purchased online at SkiNH.com, or by phone at 800-887-5464). Details. Every Ski NH downhill and cross country ski area is contributing one or more free lift ticket for fourth- and fifth-grade students. Every area also has one additional offer on things like lessons, rentals, lift tickets, and trail passes for other family members. Some blackout dates apply. From $35. Details. New Hampshire has a wealth of cross-country skiing, both at traditional downhill ski mountains and also at centers established specifically for cross-country (Nordic) skiing. Below is a sampling. Bear Notch Ski Touring Center in Bartlett. An old farmhouse is the base for cross country skiing and snowshoeing, offering rentals and gear, hot food, nature experts, and groomed trails. Bretton Woods Cross Country in Bretton Woods. Nordic skiing, skating and snowshoeing on fine trails that connect to the Stickney trail system. Services at Tree Top Nordic Sports Shop. Dartmouth Cross Country Ski Center in Hanover. 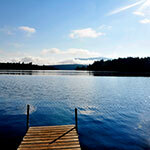 Based at the Dartmouth Outing Club House on Oscom Pond and Oak Hill, where lessons are given. Eastman Cross Country Center in Grantham. All essentials for Nordic skiing under one roof: gear, lessons, special events. Franconia Village Cross Country Ski Center. Cross-country center is in Franconia Inn. Rentals available for Nordic skiing, snowshoeing, ice skating. Granite Gorge Cross Country in Keene. 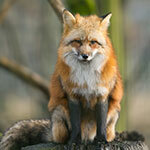 Good snow conditions and lots of cross-country trails, recently reconditioned. Great Glen Trails Outdoor Center in Gorham. This place covers all winter snow sports except downhill skiing. Cross-country skiing, skating, snowshoeing, snow tubing, family programs. Gunstock Cross Country & Snowshoe Center in Gilford. Cross-country skiing, nature and snowshoe tours, wine tastings, skijouring. Jackson XC in Jackson. The vast trail system has trails that lead from inn to inn and to a dozen restaurants, with magnificent vistas of the Presidential Range. Full range of services. Loon Mountain Cross Country in Lincoln. Adventure Center in an old barn is the base for cross country skiing, snowshoeing, skating, telemark, and after-ski activities. Nordic Skier Wolfeboro Cross Country in Wolfeboro. Enlarged trail network with terrain for all abilities, warming huts, and free skiing for younger children. Stay and Ski Free packages available. Pine Hill XC Ski Area in New London. A community-based organization with low-cost cross country skiing near Mount Sunapee Country Club. Purity Spring XC and Snowshoe Reserve in East Madison. Purity Spring Resort is base for equipment and starting point. 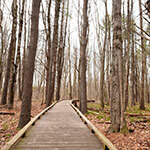 Trails wander through the Hoyt Audubon Sanctuary. Waterville Valley Resort Nordic Center. Seventy km of cross-country trails explore the White Mountain National Forest. Trails for all abilities. Windblown Cross Country in New Ipswich. 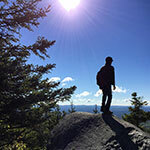 Twenty-five miles of trails in the Monadnock Region. Telemark and back country skiing on logging trails. 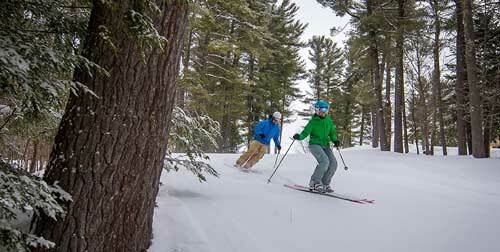 Purity Spring Resort offers winter-long fun starting at King Pine Ski Area featuring alpine skiing and snowboarding. You’ll find 17 downhill trails for beginner, intermediate and advanced skiers, 6 lifts, a terrain park, glades and a full-service PSIA-certified ski and snowboard school. The King Pine Rental and Tune Shop rents both classic and skate-skis. Get out on Purity Spring’s XC & Snowshoe Reserve on 20km of scenic trails through the forest and grounds surrounding Purity Lake in the adjacent Audubon Sanctuary. King Pine lift tickets include Alpine and XC skiing, snowboarding, snowshoeing and ice skating. 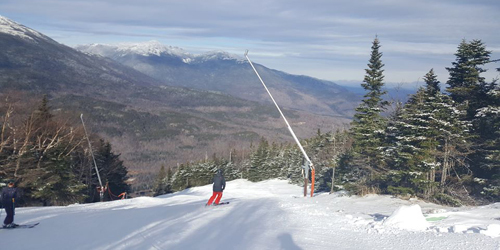 Abenaki ski area is a community-owned ski area open since 1936. Seven trails -- ranging from easy to black-diamond -- offer relaxed skiing, including night skiing. Area has glades and a terrain park, friendly workers, and a small rustic lodge. 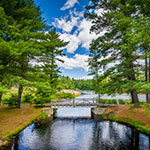 Abenaki is relaxed, uncrowded, with a small-town feel. Nice and low-key for families and kids. Everything Else -- Learn about and enjoy snowshoeing at the Forest Discovery Trail. Mountain has plenty of dining and pub life.